Why waste your time with tooth replacement methods that are less than satisfactory? If you have gaps in your smile, you should restore your teeth with the most advanced and longest lasting replacement option. Dental implants are like new tooth roots for missing teeth. These small titanium screws are placed into the jawbone. Once your mouth has healed from the procedure and the dental implants have fused with the jawbone in a process called osseointegration, Dr. Randall will restore the dental implants with appealing replacement teeth. Many patients find that dental implants are more reliable than traditional removable dentures. Dental implants will remain securely in place while you speak and chew. Dentures are more likely to shift or fall out than dental implants are. Our dental implants patients say that dental implants are less bulky and more comfortable than old-fashioned dentures. Dental implants can give you a more realistic tooth replacement experience than dentures can, because implants will stay in your mouth without fail! For many patients, dental implants are the best tooth replacement option. You can restore these titanium tooth roots with permanent dentures, dental crowns, or tooth bridges. 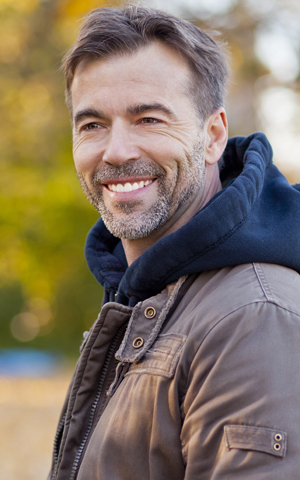 Patients find that it is easy to adjust to life with dental implants. They feel confident in their bright and beautiful smiles. They also love that dental implants preserve the jawbone so that they can avoid facial collapse. Dr. Randall will help you achieve the full and complete smile of your dreams with dental implants. Come into Chino Valley Family Dental to learn more about dental implants and to find out whether or not they are right for you. Give us a call today to set up a visit with us.